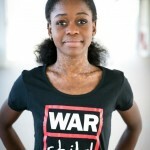 Michaela DePrince’s journey from an orphanage in the war-torn West African country of Sierra Leone to prima ballerina and principal dancer at the Dutch National Ballet is particularly relevant to young girls all over West Africa. Michaela DePrince is seen as a ‘local girl ‘ and her portrayal of strength, self-reliance, confidence and power are the key elements of female empowerment that we want young girls in The Gambia to recognise and identify with. Interest in Classical Ballet is growing all across West Africa and potential ballerinas, ballet dancers, ballet teachers & contemporary dance choreographers now have a number of inspirational role models from the international world of classical ballet. The Gambia Ballet Factory mission is to help increase the participation in classical ballet in The Gambia. Our long term vision is to build a Ballet, Contemporary Dance and Performing Arts Centre where the best ballet dancers in Gambia can be nurtured, developed and showcased. Africa has shaped the artistic world for centuries especially in the areas of dance and music. The aim of The Gambia Ballet Factory is to add to this heritage by creating a world-class standard for ballet classes, lessons, courses, training, tuition, performance, education and expression in West Africa. The Gambia Ballet Factory run free ballet classes and educational workshops in four local nursery and primary schools.that introduces the basic concepts of classical ballet, movement, music appreciation, rhythm and poise. Gambia Ballet Factory offers a developmentally appropriate beginner ballet program that aims to build self-confidence and self-esteem in young children and actively fosters a love of dance at the most magical time in a little dancers life. We also have a focus on self-expression and interpretation as our little dancers dramatise different styles of music. For true beginner students, these classes are the perfect introduction to the fundamentals of ballet with the aim of developing a skill set in traditional dance elements in a non-competitive, fun environment with musical accompaniment. We introduce important ballet basics as well as encouraging imagination and creative movement. 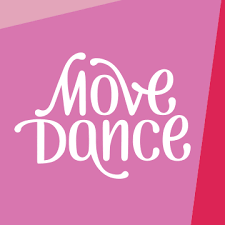 Our lessons include gentle introductions to ballet feet and arm positions, as well as centre and cross floor exercises. Our ballerinas learn about moving in a routine and working together as a group. We also run a number of workshops at local youth clubs and community centres in Gambia that give underprivileged girls and young women a chance to experience ballet lessons, ballet classes, watch ballet film shows and participate in ballet and musical appreciation workshops. 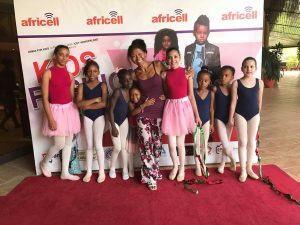 The Gambia Ballet Factory offers free ballet lessons to these girls who show talent or commitment and is dedicated to creating a world-class standard for ballet classes, lessons, training, tuition, performance education and expression in The Gambia. The Gambia Ballet Factory will add value to the societal and cultural development of the Gambian arts community, and will deliver ballet workshops and courses in a dynamic way. By unifying and advancing the performing arts, offering free community service to other foundations and schools, the center will use ballet to present life-changing messages that will re-orientate families, children, and youth, re-channel and help develop personal skills they can use positively in life. The Gambia Ballet Factory further aspires to be a hub of creativity where our community not only finds a place to escape, be inspired and be educated but also to be engaged in ballet and contemporary dance. Our hope is to use ballet to challenge mindsets.